Cruises are some of the most popular types of vacations. You can go to many spectacular destinations, and you will have the time of your life. If you are planning to take a cruise this year, here are the top 7 cruise destinations for 2013. Hawaii is one of the most beautiful places on earth. The weather is gorgeous, and the scenery is breathtaking. You can usually travel to 3 or 4 of the Hawaiian Islands, and you will receive luxury service. You can see stunning sunsets, fascinating volcanoes and amazing beaches. You can also visit Pearl Harbor. Alaska is home to a remarkable wilderness and well-preserved land. While on you cruise, you will see snow-capped mountains, enormous whales and interesting wildlife. You might have an opportunity to see seals, grizzly bears, bald eagles and dolphins. You can depart from Alaska or Vancouver, and some of the ports might include Juneau, Anchorage and Sitka. Bermuda is home to historical sites, gorgeous beaches and natural reefs. You can enjoy snorkeling, golfing, shopping or swimming while on the cruise. You can visit the capital city of Hamilton, and you can visit St. George Town. You can depart from Philadelphia, New York, Boston or numerous other ports along the east coast. The Galapagos Islands contain a wildlife preserve that includes exotic wildlife. You can see giant tortoises, penguins, whales, dolphins and sharks. The scenery is incredible, and the beauty is unmatched. 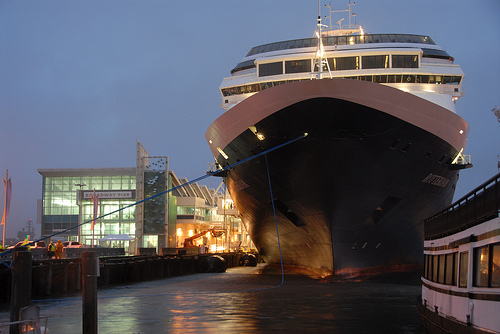 The cruise will treat you to lively entertainment, excellent cuisine and quality accommodations. The Cayman Islands are the perfect destination for a cruise. You can enjoy awesome beaches, deep-sea diving, rare sea plants and stunning coral reefs. You can also fish, swim, jet ski, windsurf or scuba dive. The beautiful deep blue waters of the Caribbean will offer you the cruise of a lifetime. St. Thomas is one of the most popular cruise ports in the world. The island includes white, sandy beaches, pristine golf courses and excellent shopping opportunities. You can enjoy jet skiing or snorkeling, and the landscape is breathtaking. While on the island, you can have an encounter with turtles, or you can see sharks up close and personal. You can also swim with sea lions. St. Thomas is known to have some of the most beautiful beaches on the planet. You can depart from Florida, or you can depart from New York. The Mexican Riviera possesses natural beauty and a stunning landscape. While on a cruise, you can scuba dive, water ski or just relax on the boat. The sunsets are stunning, and the sparkling Pacific coast is dazzling. You can see the Maya ruins, swim with the dolphins or explore the rainforest. It will be the adventure of a lifetime. You can find numerous affordable cruises to these fabulous destinations online. Flight Centre cruises offers flexible vacation choices that will suit your interests. It will be a once in a lifetime adventure.